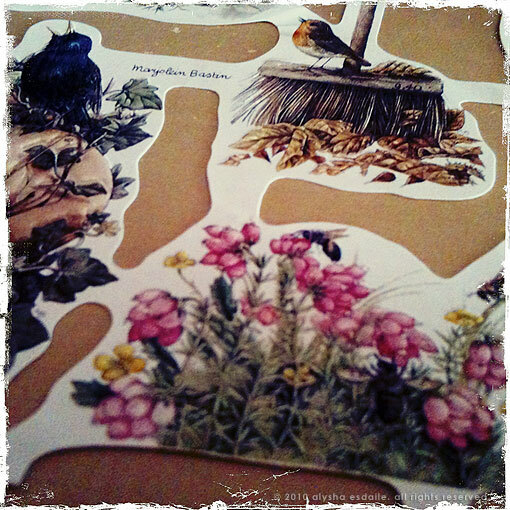 I recently found some old scrapbook stickers or stencils that I bought in the late 80s. I’m not totally sure what they were called, if they have a proper name. They are a sheet of images that you cut out and then glue to your scrapbook or letters. Spying them on my desk I took some photos and played with one of my favourite apps, Hipstamatic. Love, love this app, you can get some really fun photo affects with it. It really is worth the money if you like taking photos with your iPhone.